The children of Hariph, to the number of one hundred and twelve, returned from captivity with Zerubbabel (Neh. vii. 24). 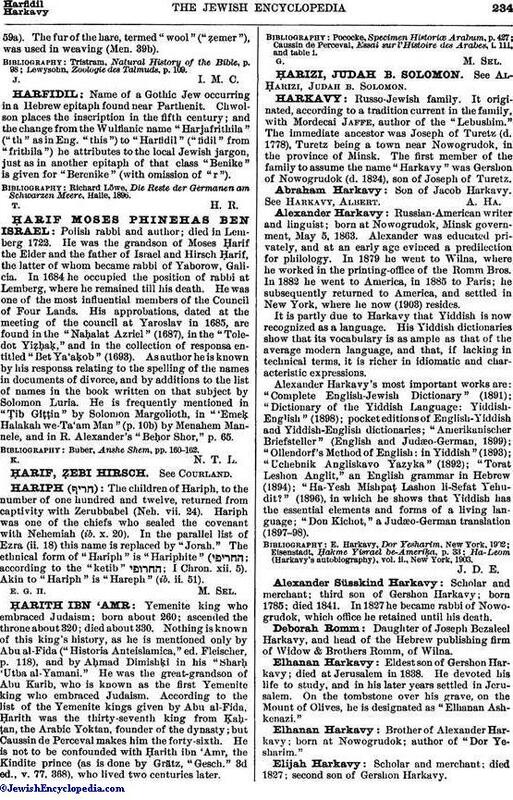 Hariph was one of the chiefs who sealed the covenant with Nehemiah (ib. x. 20). In the parallel list of Ezra (ii. 18) this name is replaced by "Jorah." The ethnical form of "Hariph" is "Hariphite" ( ; according to the "ketib" ; I Chron. xii. 5). Akin to "Hariph" is "Hareph" (ib. ii. 51).